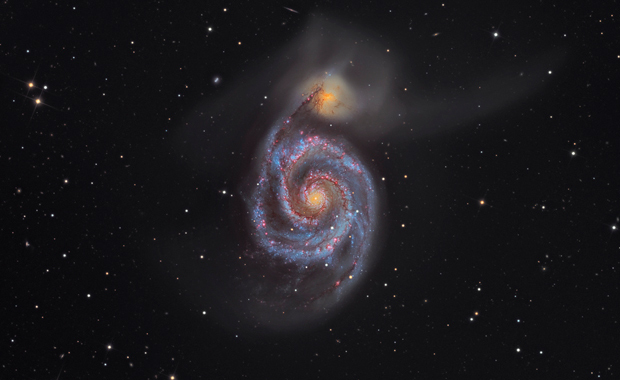 The Astronomy Photographer of the Year Competition 2013 is now open! In this annual photography competition, the best astronomy photographers get recognition for their photos of Earth, our solar system and deep space. There is a special competition category for entrants under the age of 16. The Overall winner in the Astronomy Photographer of the Year 2013 competition will win £1500. Prizes will also be given to competition category winners, runner-ups and highly commented entries. There are three special prizes as well. Earth and Space: This is for photos that include landscape, people and other ‘Earthly’ things. Your picture should also include an astronomical subject – for example the stars, the Moon, or near-Earth phenomena such as aurora. Our Solar System: This is for photos of our Sun and its family of planets, moons, asteroids and comets. Deep Space: This is for photos of anything beyond our Solar System, including stars, nebulae and galaxies. Young Astronomy Photographer of the Year: Applicable for entrants under the age of 16 only. See below for full details of this category. Each of these categories will have one overall winner, a runner-up and three highly-commended awards. All prize winners will also receive a one year subscription to Sky at Night Magazine. To enter the Astronomy Photographer of the Year competition you will first need to add your photos to the Astronomy Photographer of the Year group on the photo-sharing website Flickr. Once you have done this, fill in the relevant online application form on the official website. Through these forms you will be able to nominate your chosen category and consideration for any of the relevant special prizes.